Shilshole Blog » Shilshole Liveaboard Assoc. The Shilshole Liveaboard Assoc. (SLA) was formed to serve as a conduit for sharing experience, education, and information between people living aboard their recreational boats at Shilshole and their larger community. The SLA has a close working relationship with the Marina/Port of Seattle; manages the Dock Captain Program, Shilshole Prepares, and maintains a seat on the Ballard District Council. The SLA also acts as the representative of the liveaboard community on issues that are a concern to the membership like security, the Liveaboard Agreement with the Port, and community participation. In order to accomplish this we need to hear from you. Together we can protect our lifestyle and the recreational use of our boats. I’m currently assessing the possibility of living aboard a 40-50 foot sailboat, and moving out of the ‘normal lifestyle’ here on the eastside – I’m single, no kids, and live in an apartment (lease ending November 2016). Do you folks have any live-aboard boat slips available for a 40-50 foot sailboat (monohull or catamaran – I’m not sure which yet)? If so, what are all the costs involved? I’d so much appreciate any help you can offer here. I’m super excited about this! My name is Kristen Sierra. I am a live aboard here at Shilshole Marina. 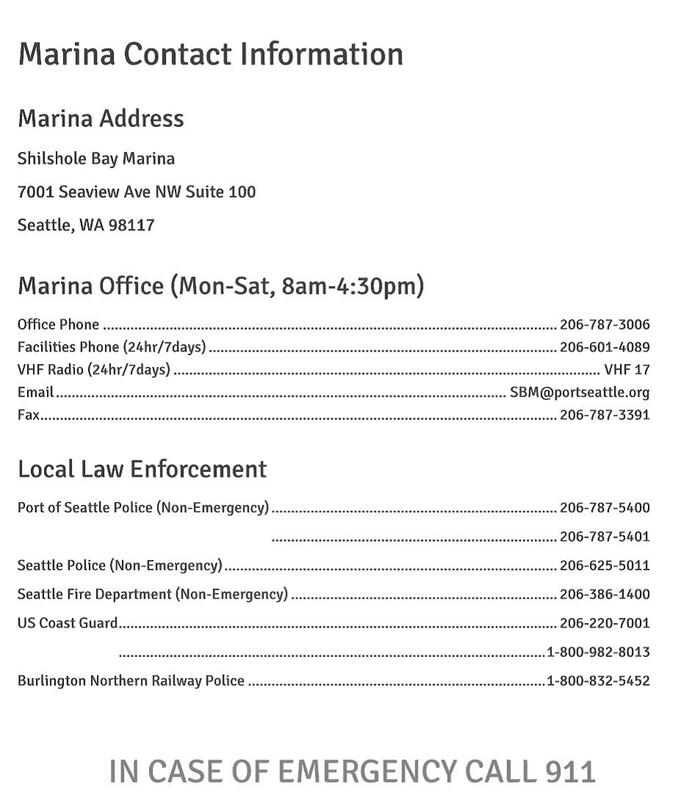 Your questions concerning the availability of slips for boats 40-50 feet in length can best be answered by Shilshole Bay Marina. The staff has all the latest information on slips and live aboard status wait list. Here is their day time phone number 206-787-3006, anyone that answers will be able to help you with answers. I have lived on board a sail boat for 18 years here in Seattle. During my early years I live aboard a power boat in Marina del Rey, California. I can not think of any where else I would rather live than on a boat. Site Admin | Free WordPress ThemeShilshole Blog Copyright © 2019 All Rights Reserved .